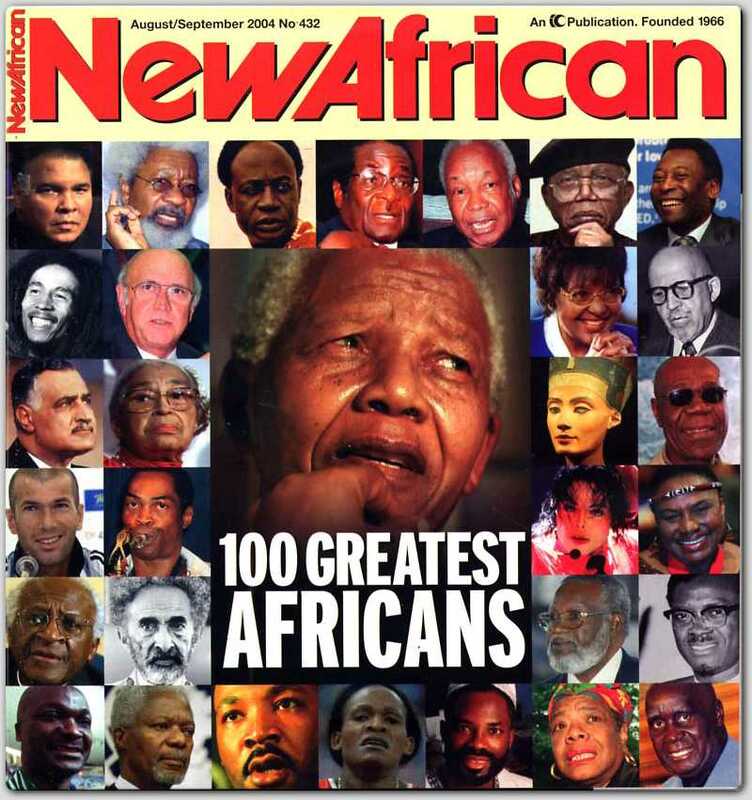 Emeagwali (third from bottom right) was voted history's 35th greatest African. 1954 Breathed his first air in late afternoon Monday August 23, 1954 in a hospital in Akure in then British West African colony of Nigeria. 1964 Recognized (by St. John's School, Agbor) as hometown's calculating prodigy, the fastest human computer. 1965 Recognized (by Common Entrance Examiners) as a math prodigy. 1970 Nicknamed "Calculus" at age 15 for his precocity and after his 568-page book on "infinitesimal calculus" and his "calculo analog computer." 1972 Mentioned in the science column of the Daily Times of Nigeria at age 17. 1973 Won a scholarship to the United States through word-of-mouth recommendation. 1974 Began 17 years of full time university studies on various scholarships and fellowships (March 24). 1974 Conceived hyperball network of 64,000 computers around the world, now called an internet. 1974 First newspaper interview in Oregon, United States at age 19. 1980s Delivered progress-report lectures on his 16-year constructive program-to-practice of his hyperball to hypercube internet. 1989 The first and only lone and solitary programmer to program sixteen supercomputers, each powered by up to two-to-power sixteen computers. 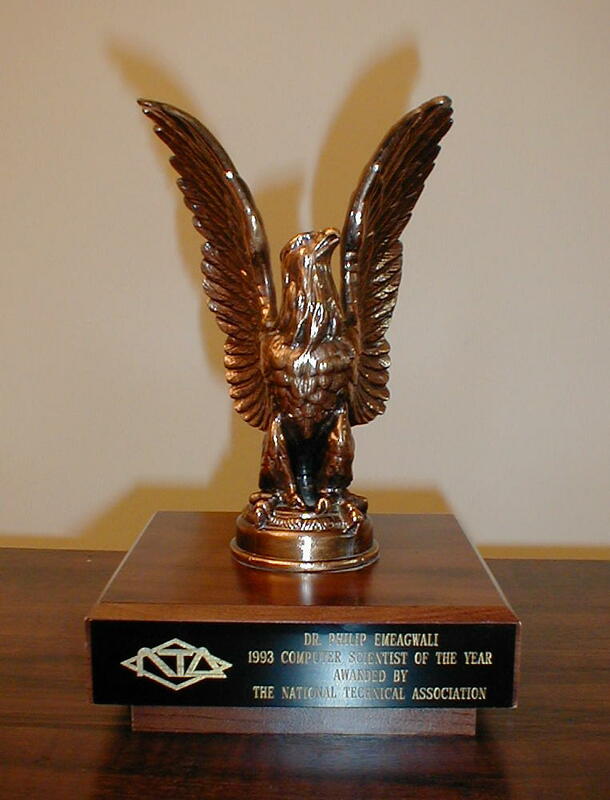 1989 Won Gordon Bell Prize, the highest honor in supercomputing. 2003 Extolled by the United States Congress for contributions to humanity. 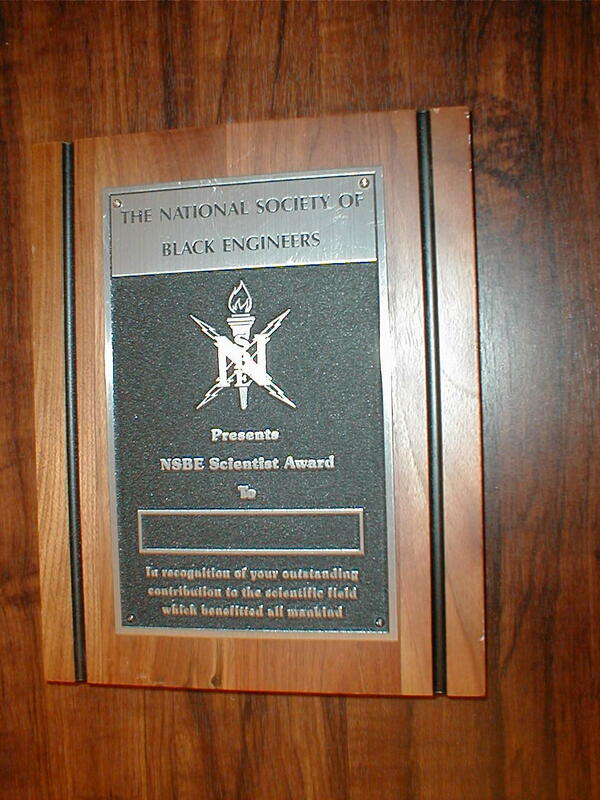 2004 Ranked history's #1 scientist of African descent. 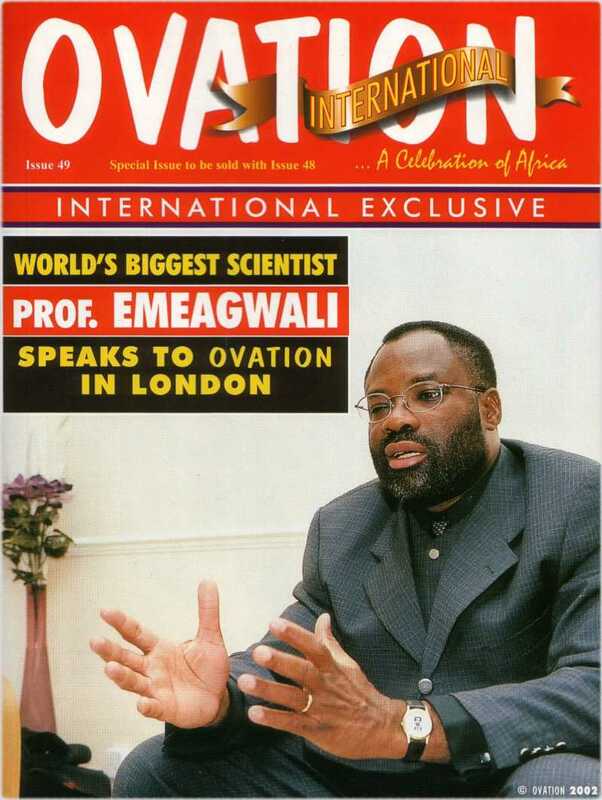 2005 Toyota Salutes Emeagwali for helping "us all move forward ... to the age of information" in hundreds of magazines and radio stations. 2006 Two postage stamps honor Emeagwali as a "supercomputer genius." 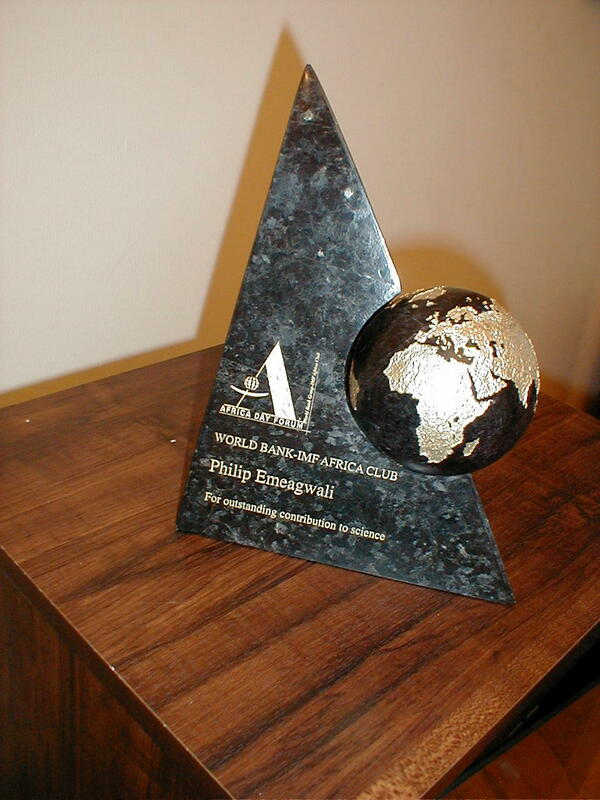 2007 Commonwealth of Virginia extolled the creative genius and contributions of ... Philip Emeagwali. 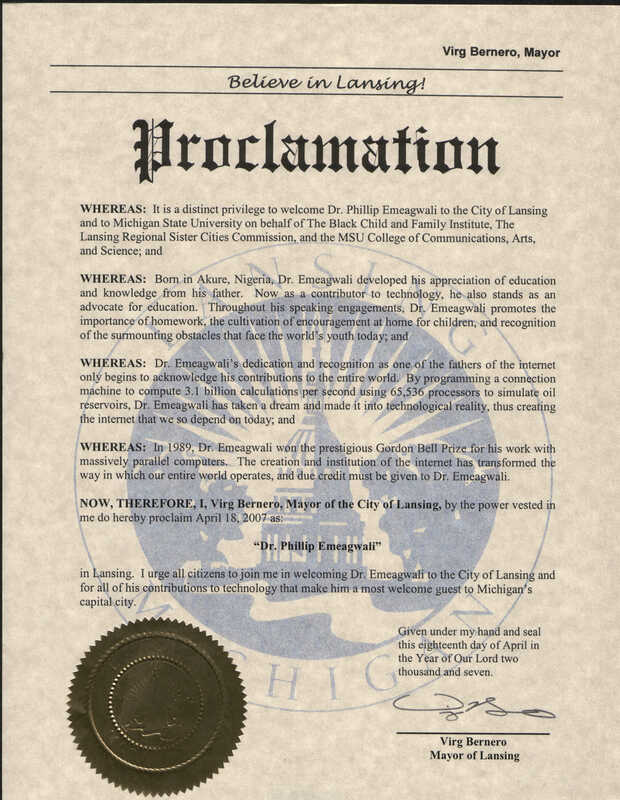 2007 Proclamation of April 18 as Philip Emeagwali Day in City of Lansing, Michigan. 2007 Resolution recognizing "A Father of the Internet," City of East Lansing a.k.a. "Home of Michigan State University." 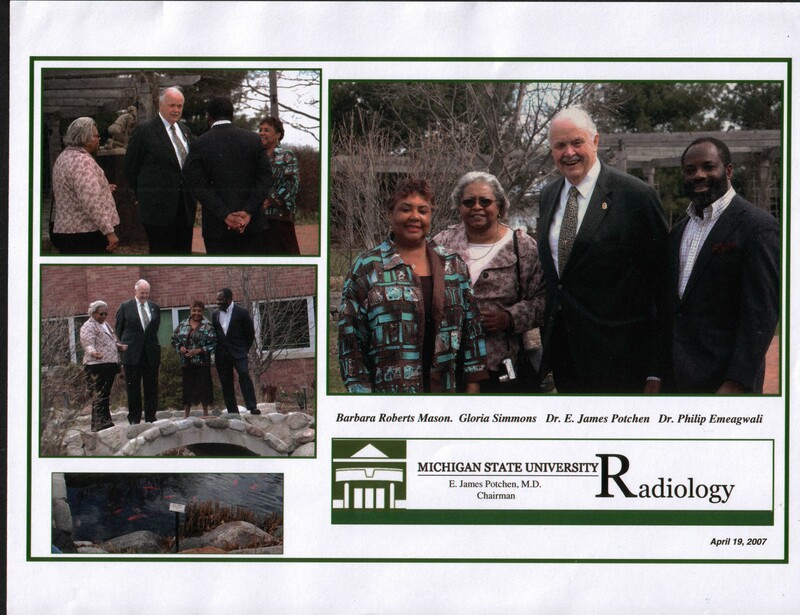 2007 Special Tribute in Michigan House of Representatives for "tremendous impact on the state of Michigan." 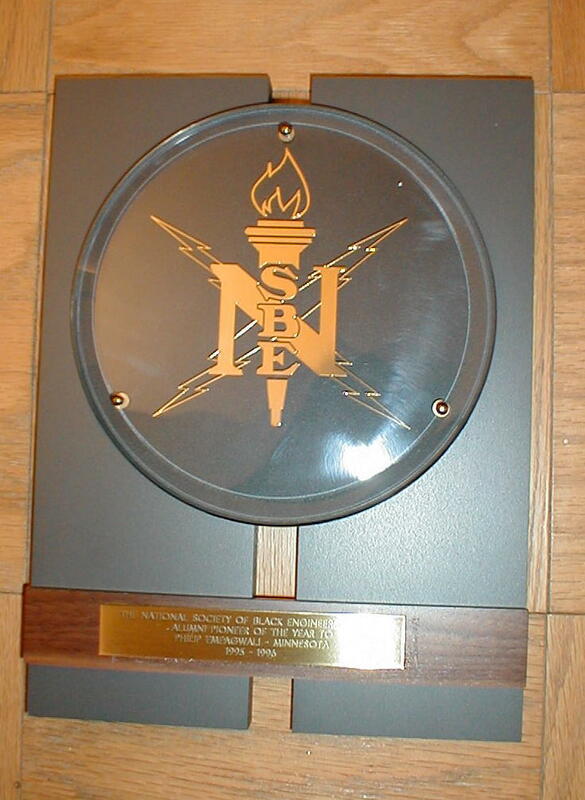 2007 Award from Governor of Michigan for "tireless contributions" to Michigan. 2007 History's 70 Greatest Black Achievers. 2007 "Unsung Hero" Behind the Internet, TIME magazine. 2008 "Eight Africans You Should Know," Ebony magazine. 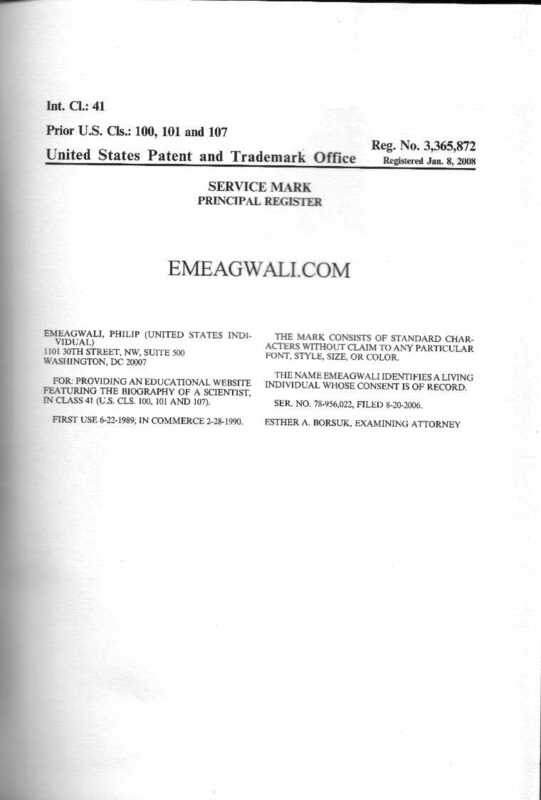 2008 emeagwali.com recognized as well-known trademark. 2009 Headlined Kshitij (Asia's largest techno-management festival) as the "Father of Supercomputer"
2009 Emeagwali named in stamps, schools, streets, sci-fi and songs. 2009 Emeagwali Conference: First biennial science festival. 2009 Inventors & Trailblazers: Ask your public librarian for books. 2009 Voted top 20 Living Legends in Nigeria in poll by Vanguard newspaper and STV television. 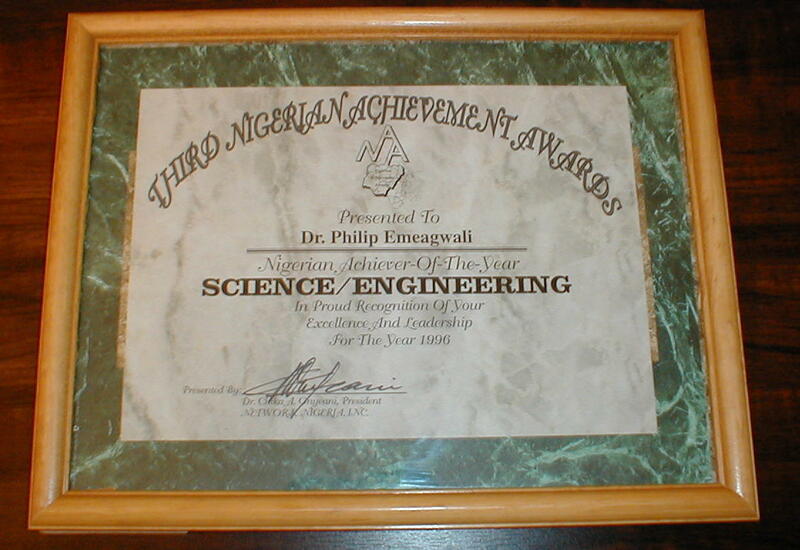 2010 Emeagwali Prize: A newly instituted award honoring African scientists. 2011 Emeagwali Conference: Biennial technology festival. 2012 Ten Highest IQs in History. 2012 Google Most-Searched: For "Nigerian Father ...."
2012 Google Most-Searched: For "African Father ...."
2012 Google Most-Searched: For "Father of the Internet." 2012 Google Most-Searched: For contributions to the development of the computer. 2012 Google Most-Searched: For "Father of Supercomputer." The above hyperball network was invented by Emeagwali. 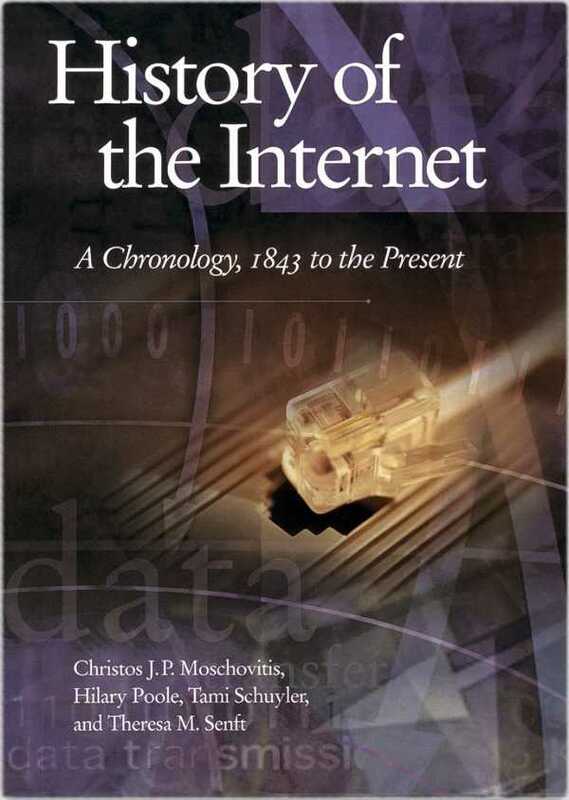 Although it was originally inspired and designed as an international network of computers for forecasting the weather for the whole Earth it is, in many ways, similar to what we now call the Internet. In its early years, the Internet was a planar network covering parts of the United States. It has now converged to a hyperball "world wide" network covering the entire Earth. In the 1990s, the vector supercomputer was reinvented as a hypercube supercomputer. In a few decades, the computer will "disappear" into the Internet and, in essence, converge to a hyperball-shaped computing and communicating device. Then we will say that the supercomputer is the network, or that the hyperball network is the computer, or that the hyperball network is the Internet. 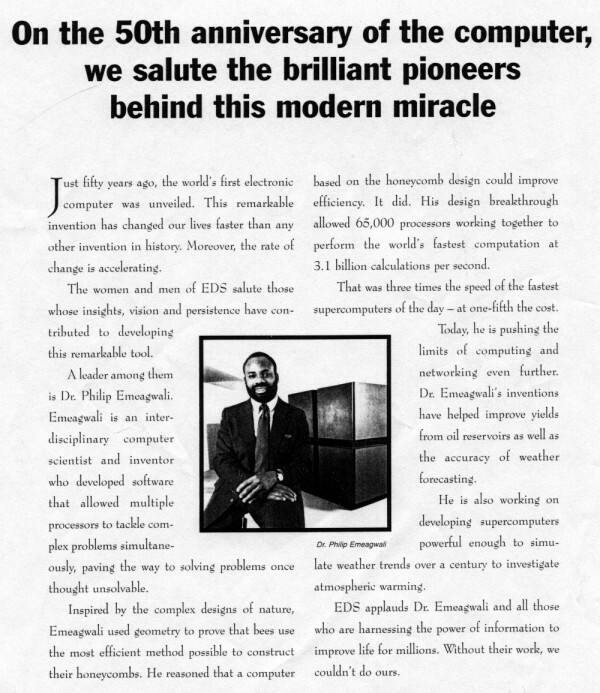 Many books on the History of the Internet called Emeagwali a supercomputer and Internet pioneer. More info: biography, blogs, articles, pictures, and photo essay. computing and communicating by email. is known today as the Internet. of 3.1 billion calculations per second. as well as "the Bill Gates of Africa"
into the age of information.